'Sanctuary' describes this green-built, two-story solid-timber home perfectly. Peaceful, quiet, nestled on a wooded mountainside in Vermont, it's the superlative place to get away from the noise of everyday life. A fully furnished screened back porch, complete with soft patio lights, padded porch swing, and small dining table completes the picture. A glassfront woodstove (fall/winter) adds charm and warmth. All flooring random-width pine finished with natural oils. Bedrooms are spacious and include sitting areas. And yes, I have business-level Wifi! Unique shopping and art galleries await you in quintessential Woodstock, only 5 miles away. Silver Lake State park with beachfront, kayak and paddleboat rentals, and playground area is 4 miles away. After a day at the beach, there's the famous Barnard General Store for deli/ice cream, Tozier's drive-up, or fine dining at the Barnard Inn and Max's Tavern. Live theater/concerts within 30 minutes distance at Northern Stage, The Hopkins Center, and Lebanon Opera House. LONG TERM RENTERS: 30-day or longer means a better deal. Often as low as $1200/week! Ask for rates. Reserving the property: Once you're ready to book, the dates you desire are secured with a 50% rental deposit (one months rent if you're a monthly renter) using your credit card, or a personal check and the signed booking confirmation form emailed to you. Meet Heidi---an ordinary woman with an extraordinary tale of working beside her (now late) husband, Paul, their master-carpenter friend, Randy, and Heidi's three children to build their dream solid-timber house in Vermont. Thrown into this project quite by the surprise of Providence, she realized in those four years of 'family logging' on their 24 acres, sawing up the felled white Eastern pine on a portable sawmill, and finally building, that only by testing a dream can you know if you have been given both the faith, perseverance, and grit to complete that dream. Though Heidi lost her husband Paul in 2007 to heart disease, she endeavors to share this uniquely peaceful and beautiful home to weary travelers in search of respite and sanctuary from the demands of the world we live in. Enjoy and be at home in this magical place nestled in the calm beauty of Vermont! You will find peaceful seclusion here: a uniquely beautiful, green-built home nestled among 24.5 acres of sugar-maple laden forest, yet easy access to Vermont Rte. 12 just 1700 feet down the mountainside driveway. Quintessential Woodstock is 5 miles south, Silver Lake and the Historic Barnard General Store 4 miles north, Mt. Tom hiking and horseback trails 3 miles south, and Hanover, NH and Dartmouth College 23 miles east. Northern Stage and the Lebanon Opera House are 22 miles east. After 700 + guests and seven years of vacation renting, Heidi has heard nothing but 'Wow--better than the photos!' Comments left in Heidi's guest book and the solid 5-star posted reviews on two listing sites say it all. Heidi has accommodated varied guests: families with children, couples wanting a romantic getaway, weekend skier groups, and everyone in between, each group leaving behind rave reviews about the home, the setting, the re-connection to family and friends, and the entire experience. toilet, shower, master bath; also has grab bar by toilet. combination tub/shower, Located in laundry room; for guests or pets! Both bathrooms have separate sink/toilet areas, custom built-in cabinetry, and are very luxuriously decorated. The upstairs toilet has a built-in 'kiddie' seat for toddlers. The basement tub/shower is located in the laundry room and is great for larger parties when everyone's trying to get a shower at once, OR---for your dog when he needs a bath (there's a re-movable shower nozzle and pet shampoo available). Late fall, winter, and early spring offers views of the surrounding mountains through bare trees. In summer/fall, you have beautiful woods with walking trails. Peak autumn color is stunning! In the country, but with easy access down 1700 total feet of driveway to Rte. 12 and the charming brook running beside it. Fiber optic. Land line may be used for both unlimited local and USA long distance calls as owner pays flat rate for this. Most guests use their WiFi calling capabilities. One main propane-fueled gas fireplace in dining area; three smaller gas fireplaces in the three bedrooms--all thermostat controlled. Wood stove in living area for fall, winter, and spring use. Beautiful, higher-end linens including two sets of flannel sheets. Let me know in advance if you prefer flannel over standard cotton sheets, or vice versa. Front-loading Maytag machine and matching dryer in finished utility room in basement. Extra tub/shower in laundry room for people or pets! Yes! Front-load washer plus dryer in basement laundry room for your use, with detergent and stain pre-treatments available. ECO-safe only; no bleach to protect my surrounding environment. Ample room for 6-8 cars at driveways terminus. Fiber-optic, 40 Mpbs, "business level" with individual static IP address. An ethernet cable is located in the Master bedroom desk area. Yes! Freshly laundered towels available for your use. Cozy, romantic Waterford (made in Ireland) wood stove; firewood provided on a rack in the living room and ample extra stacked outside on the covered front porch. Three-sided view of the wooded mountainside; one large sofa; two sitting chairs with reading lamps; one leather reclining chair with reading lamp. Three bookshelves; brick hearth. Ultra quiet Miele dishwasher with four settings. Recommend "Economy" setting. Avoid placing plastics that melt in bottom rack! Suggest washing pottery dishware and mugs by hand. Large refrigerator; freezer pull-out drawer on bottom. Gas stovetop, new 2005 LG brand with center burrner and cast-iron griddle. 2005 LG model gas oven/stove. Under-counter microwave nestled between stove and refrigerator/freezer. Oils, spices, flour, sugars, baking and cooking ingredients are there to use as you wish. Guest to use their own discretion using these items left by owner or previous guests. Wide variety of stoneware and everyday dishes; all essential kitchen appliances, utensils. bake-ware and cookware items available. Foodies LOVE Starry Hill's kitchen! Table seats eight persons. Dine by the romantic gas fireplace controlled by wall-mounted thermostat In warmer months, seating for 12 more in summer on the screened porch for casual dining. Found in upstairs west bedroom. Flat screen monitor and remote control. A vast library of books, fiction and non-fiction available in living area, all bedrooms and bathrooms, and basement stairwell, ENJOY! Scrabble, Monopoly, Pictionary, Scattagories; Candy Land; retro-Clue and Dating Game chess, checkers, cards, many more! Games and age appropriate toys available including Legos, hand- puppets, "brain-games"; toys cars and floor "road map", puzzles, books, Archie comics, etc. Many DVD movies available for guest use--found in basement stairwell shelves and in upstairs west bedroom. Want a certain film? Bring your own or check w/ me, I may have it! Lawn extends 20' from back porch, goes around west side of house to extend 10', and then to front of house extending 25'. Mixed forest surrounds the property. Logging path behind house to mtn. top. Rentals available 4 miles north at Silver Lake State Park. Three covered porches---front porch (44' x 8'); side porch (15' x 8'); back screened porch (32' x 8'). Kids beach toys, balls, life vests available on guest card table in basement. This is a beautiful, two-story, center-hall colonial solid-timber home decorated in classic Williamsburg colors and built in 2000. It has gorgeous paneled wainscot/chair rail/wallpaper on the interior walls, classic 6 x 12 flat logs on the exterior walls, with wood beams and painted board ceilings. The screened-in back porch, 8 x 32 with six cushioned chairs, two cushioned love seats, a dining table and padded porch swing is golden during summer months, attached to the dining area w/ french doors. Washer and dryer in basement. Well-behaved dogs welcome, but let's discuss first. LONG-TERM RENTERS: Book early! A year in advance will give you the best availability. Willing to negotiate a fair rental price. COLD WEATHER GUESTS: The two main heat sources are FOUR gas fireplaces on thermostat (dining room; ALL bdrms) glass-front woodstove (living room) requiring you to start/maintain a fire in winter. POND: Pond has a small sand beach for play/relaxation. SWIM AT YOUR OWN RISK. This log cabin was an absolute dream! We had such an amazing stay. Waking up to a "fire in the fireplace" was so calming and wonderful. I love all the charm and detail. We were able to cook a full Thanksgiving meal in the well appointed kitchen. We explored Hanover, Woodstock and White River Junction (love those Alpaca!). Heidi was so sweet and checked on us throughout stay via text to make sure we were comfortable and happy. Such a delightful place! The house was cozy and clean. Heidi was a kind and gracious host. Thanks! A lovely property with a thoughtful and considerate host. Heidi made sure that everything was at hand even when the weather did not always cooperate. Comfortable and cosy with spacious bedrooms and a gourmet gas range kitchen. Heidi's gorgeous abode made the most perfect escape for our "final" mother/daughter weekend before I get married! My mom and I loved all of the thoughtful touches throughout the house, such as firewood, chocolates to snack on, and great books to read. The wood stoves made the rooms such cozy havens on cold, rainy days and the bedding was all extremely comfortable. I was a bit worried when the address wouldn't show up on GPS but, had I read Heidi's most informative check in notes, I wouldn't have batted an eyelash! We found it without any trouble at all (well, to be fair, we did drive past it at first!). It's brilliantly located only a few minutes away from Woodstock so everything one could possibly need is well within reach while being tucked away in the secluded fairyland that is Starry Hill. We especially loved taking in all of the breathtaking views while sipping hot apple cider (local, of course!) on the screened-in porch - what a treat! Looking forward to our next stay! Our long weekend at The Starry Hill House was wonderful! The house is beautiful! The craftsmanship and love that Heidi and her family put into building this home is apparent in every room! From the hidden bookshelves that bracket the woodstove in the living room to the pocket doors that create 2 private spaces in the bathroom, Heidi didn’t miss an opportunity to make this home one of a kind! We spent the majority of our time playing games and reading on the screen porch. Heidi provides a drawer of candles so we were able to create a cozy, romantic atmosphere while we unplugged and enjoyed eachother’s company. My husband and I both commented on the comfort of the bed and sheets and with the cool breeze blowing in and the song of the cicadas, we had rejuvenating sleep every night! Do yourself a favor and visit Heidi’s home. She was very attentive and wonderful to work with! I have to start this review by mentioning Heidi. She is such a salt-of-the-earth/down-to-earth, warm and amazing person. You will feel instantly at home dealing with her and glad that she is the owner. Now I understand why the home is so warm and inviting. As for the home itself...well, all the other reviews for this home are accurate and none are an exaggeration. Simply put, it's a gorgeous home nestled in the woods. If there is an idyllic Vermont VRBO home, look no further, you found it. There is such charm, and yes, warmth to it. It's well kept, clean and inviting. The screened-in porch is such a lovely place to hang out it and hear the leaves rustling in the wind. All the amenities (including a modern kitchen) are all one can ask for in renting a home for vacation. Simply put, this is the place you want to go to for a Vermont vacation. 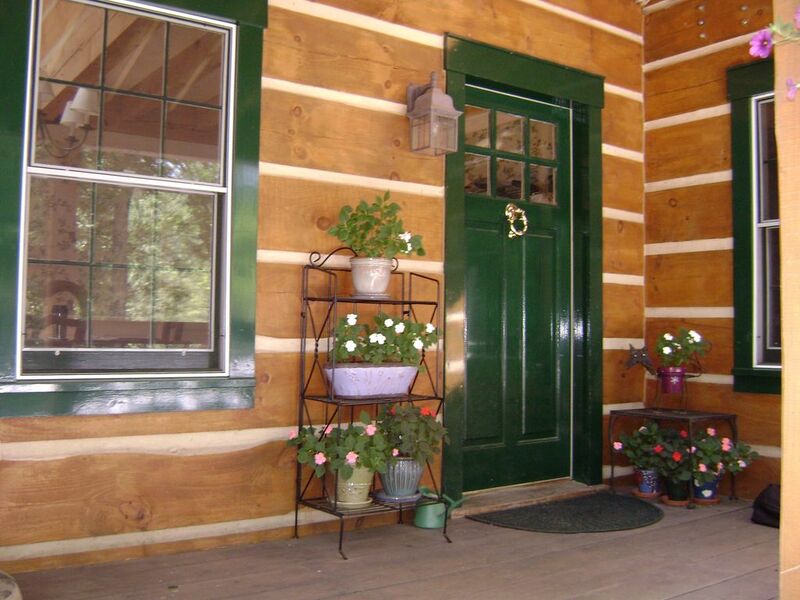 From the owner, to the home, to the seclusion of the location in the woods, it's the best. I was more than happy to write this review and let future guests know that you're in for a relaxing treat. Located equidistant from quintessential Woodstock and beautiful Silver Lake State Park in Barnard, you'll get the best of both locations: unique shopping, art galleries, Billings Farm, Rockefeller mansion and national park, outdoor concerts, kayaking, sailing, camping, hiking, horseback riding, cycling, skiing, all on a secluded, quiet mountainside. Want to try an adventure? Visit Sugar Bush farms to observe cheese making. How about booking a pottery making class through Farmhouse Pottery in Woodstock? Or a weaving class with Vassie Sinopoulos at Weaving Treasures? Gentle, easy-walk trails on my 24.5 acres, so bring your hiking shoes, snowshoes, cross-country skis, or your ATVs! LONGER-TERM RENTERS: (30-days or more) BOOK A YEAR IN ADVANCE FOR BEST AVAILABILITY. Monthly rental is greatly encouraged and often negotiable. Rates range from $5,300 to $6,995, depending on the season. NO 9% MEALS & ROOMS TAX ON RENTALS 30 DAYS OR GREATER. Thinking of staying 28 days? Book 30 days or more and you will likely pay the same or LESS!